What better way to start the week than with another blog feature?! Today, I am so happy to see my dear friends Lucas and Christina's Winston-Salem engagement session featured on Everything Weddings & More. If that's not enough to entice you to check it out, I promise you won't want to miss the photos of their precious puppy Bruno! View the feature here. 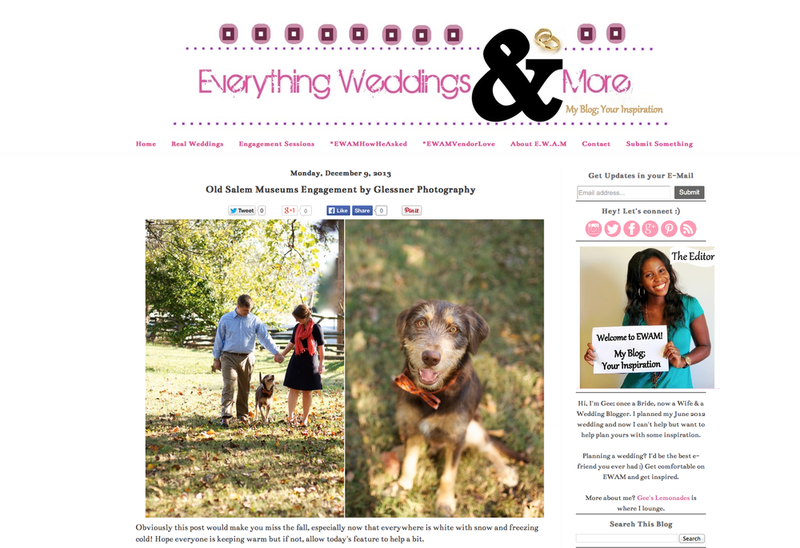 Thank you to Gee over at Everything Weddings & More for showcasing our work!